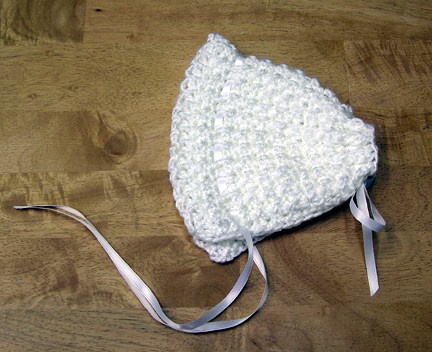 Clara creates beautiful handcrafted crocheted items including baby hats, afghans, and doilies. 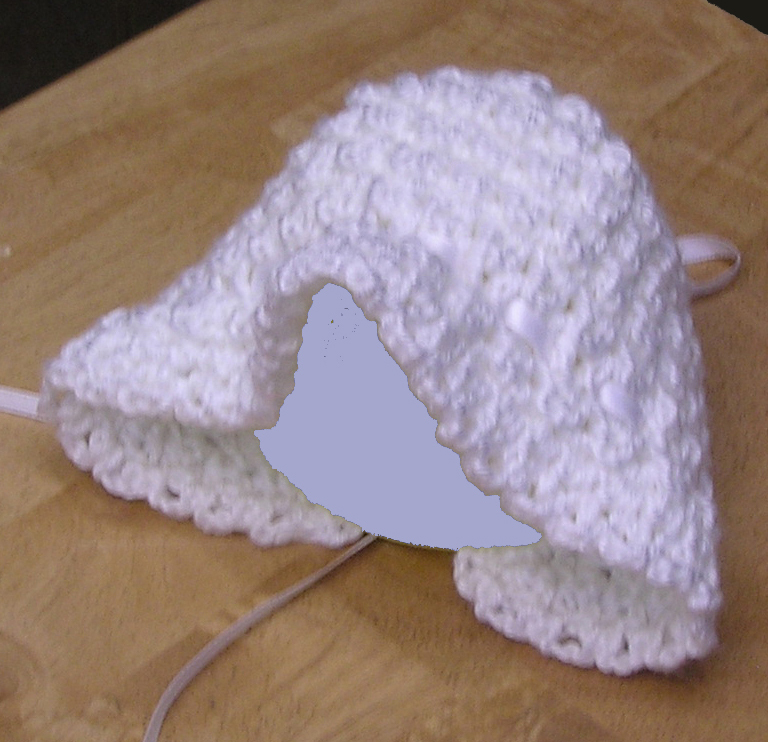 This adorable baby girl bonnet is made with soft white acrylic/polyester blend yarn that can be machine washed and dried. Trimmed with white polyester ribbon.